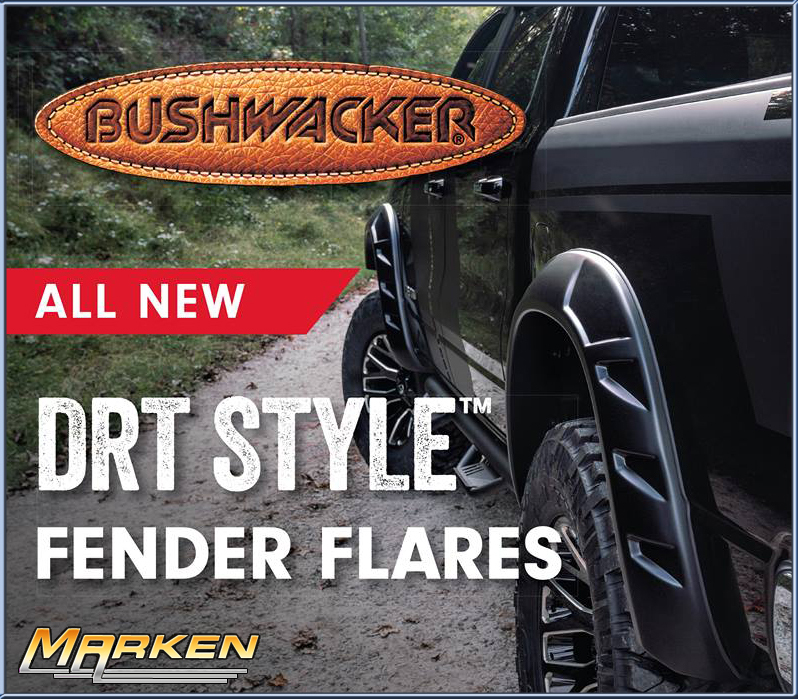 This new Fender Flare design, available soon via Marken Performance, has a vented design for a whole new look, while protecting your vehicle from on, and off-road hazards. Made from Dura-Flex 2000 ABS that is UV resistant and crack + warp resistant. Matte black finish is paintable. Comes with limited lifetime warranty. These DRT Fender Flares will be available on model Chevy 1500, Ford F-150, F-250 and Ram 1500 pick-up trucks.